A classic design with a modern twist! 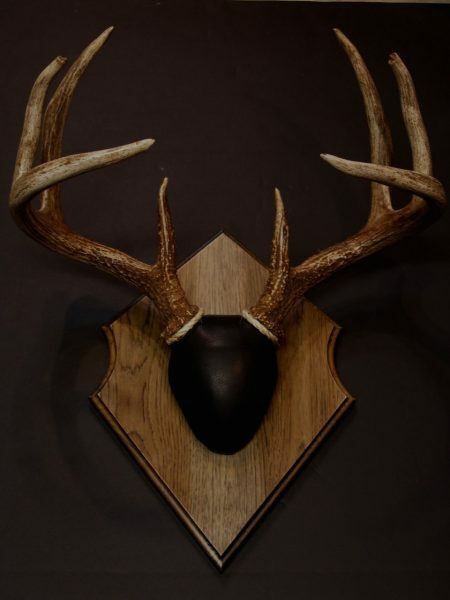 The Outfitter is made from ¾ inch hand selected rustic hickory and is finished in a rich ebony stain. 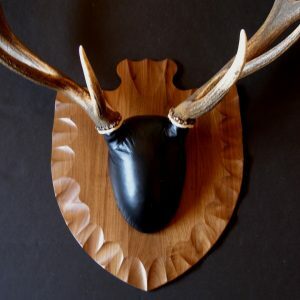 The Outfitter’s style keeps the traditional look while adding a slightly modern design to it. This is one of our biggest sellers because of its ability to display all sizes of racks. 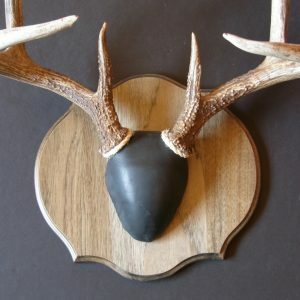 When ordering, the Standard antler mount kit includes all materials listed above. This kit is also available in the Desire Series for her. 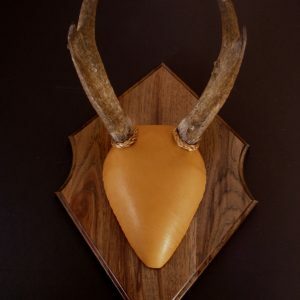 The Desire series converts each antler mounting kit with a white faux leather antler mount form cover and a gold colored finishing rope. Plaque measures: 18.5 X 13 Inches. Made in the U.S.A.